Is A New Class Ship Coming To Carnival Cruise Line? Cruise News Carnival Cruise Line Is A New Class Ship Coming To Carnival Cruise Line? Could a brand new generation class cruise ship be coming to Carnival Cruise Line? Well there’s a chance it actually could happen thanks to the cruise line’s parent company Carnival Corporation ordering nine new ships. There has always been much talk and gossip about the cruise line building a large ship to rival Royal Caribbean’s mega Oasis class and even the new Quantum class. In March the Carnival Corporation which owns brands including Princess Cruises, Carnival Cruise Line, Costa Cruises, Aida Cruises, Holland America Line, P&O Cruises, Cunard Line, P&O Australia and Sebourn announced that its ordered nine new cruise ships! Yes that’s 9. So far the company has already released some details on four of those ships, two for German based cruise line Aida Cruises and two for Costa Cruises. Those ships are a new generation class at 180,000 gross tons which will be the second largest ships in the world. What’s bigger is that those vessels will carry a staggering 6,600 passengers making them the largest passenger capacity ships in the world. These ships will be built by Meyer Werft which is based in Germany. This leaves details on five other cruise ships still to be revealed by the Carnival Corporation. The other five are to be built by Carnival’s long-term shipyard partner Fincantieri which is based in Italy. So let’s look at the facts as Holland America Line already has a second Koningsdam class on the way in 2018, Costa and Aida Cruises all ready have ships coming, Princess already has another Royal class ship to be built by 2017 and the only other real contender for a new cruise ship is either P&O Cruises which has just added Britannia to the fleet or Cunard Line. 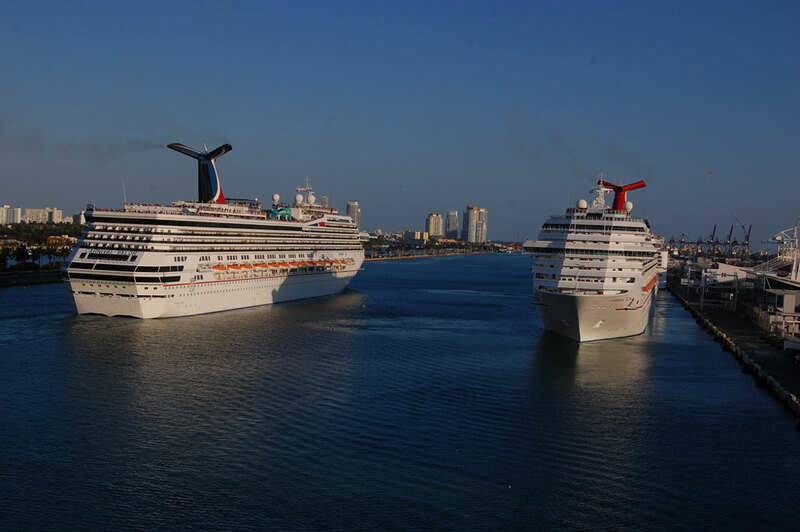 Even though the other cruise lines could still get new ships our bet is on Carnival Cruise Lines to get at least two brand new class cruise ships. Carnival Cruise Line has not had a major design change since the Carnival Destiny first entered the industry back in 1996. The Conquest class was larger but still based on the same design and again for the Dream class. More recently even the upcoming Carnival Vista in 2016 is based on a similar design. These designs have worked well for Carnival and helped push the company to new heights but is it time for something more pioneering? We’ll leave them decide that. Carnival Corporation has also just made a 30 Million Euro investment on a new cruise terminal in Barcelona, Spain. The new terminal is expected to be completed in 2018 just in time for Carnival Corporation’s new generation ships. The terminal will be located in the Port’s Adossat wharf and will be one of Europe’s Largest at 11,500 square meters. This new terminal could make way for a Carnival cruise ship returning to Europe. Carnival Vista will sail its inaugural season in Europe but then will return for regular cruises out of Miami, Florida but after that no other ship has been announced to fill that gap. It will be interesting to see what Cruise hive readers think and if Carnival Cruise Line will be getting at least two new class vessels. Feel free to post your comments below and we’ll keep you updated on any new announcements from Carnival.